LP Gas serves retail companies that market propane to end-use customers in the residential, commercial, agricultural, industrial and motor fuel sectors of the industry. The publication also serves wholesale distributors and suppliers of propane to retailers; independent transport fleet operators and propane-fueled fleet operators or suppliers/installers of propane conversion equipment; fuel producers and refiners; and suppliers of propane appliances and equipment/parts. Our mission is to deliver timely news, analysis, business management and feature stories that facilitate education and communication within the propane industry. 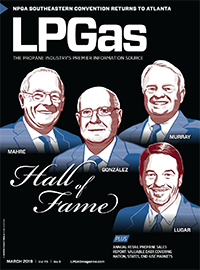 Brian Richesson is the editor in chief of LP Gas magazine and has covered the propane industry since 2007. Prior to his business media career, Richesson spent about 10 years in the newspaper industry, working as a reporter, copy editor and page designer for several daily publications in Northeast Ohio. He graduated in 1997 with a journalism degree from Kent State University in Kent, Ohio. He is a native of Northeast Ohio. Ellen Kriz has a bachelor’s and master’s degree in English from John Carroll University. At North Coast Media (NCM), she is managing editor of LP Gas and Pest Management Professional. Prior to North Coast Media, she worked as a market research analyst and was a writing teacher and tutor. She lives in Lakewood, Ohio. Joe McCarthy is the associate editor of LP Gas magazine. Before joining the editorial staff for LP Gas, he worked as sports editor for John Carroll University’s student newspaper, The Carroll News, and contributed to John Carroll University’s athletic website, jcusports.com. He graduated from John Carroll University in 2017 with B.A. in Communications with a focus on journalism. In addition to LP Gas, he also serves as associate editor for Pit & Quarry and Portable Plants & Equipment magazines. 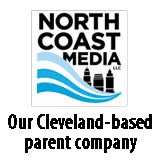 Allison Barwacz is the digital media manager for North Coast Media (NCM). She completed her undergraduate degree at Ohio University where she received a Bachelor of Science in magazine journalism from the E.W. Scripps School of Journalism. She works across a number of digital platforms, which include creating e-newsletters, writing articles and posting across social media sites. She also creates content for NCM’s Pit & Quarry magazine, Portable Plants magazine, GPS World magazine and Geospatial Solutions. Her understanding of the ever-changing digital media world allows her to quickly grasp what a target audience desires and create content that is appealing and relevant for any client across any platform. Christopher Caywood, co-owner, Caywood Propane Gas Inc.
Jim Renaldo, Director, Sales & Marketing, Renaldo Sales & Service Inc.
To learn more about the LP Gas sales team, click here.